As a low stakes limit Hold’em player looking to progress towards higher stakes, you are going to encounter some very aggressive games and some very strong players. There are clear indications now that value in middle limit is drying up or has already dried up. A few years ago you could guarantee a good earn rate and weak players at levels like $10-$20. Recently I sat and watched $3-$6 games that looked extremely tough. Closer inspection revealed that several of the players in the game were multi-tabling this level and the next level above at $5-$10. These are the $10-$20 and $20-$40 players of old who are turning to the lower levels and multi-tabling them in greater numbers. It is the same at any form of poker; better players become more aggressive and rightly so. Carefully timed aggression wins pots against lesser and more fearful players or players who are under bankrolled. As you move up, the dividing line between your opponents’ actions and the hands that they hold becomes more and more unclear. At the lower levels you can always rely on your opponents’ actions tying in with their hand strength or their perceived hand strength. Better players not only bet and raise with their good hands at higher limits, but they also bet and raise and bluff raise with air more often. This can lead many players who are moving up to face some very tough sessions where they appear to be getting bet at or raised at every corner. I know when I played $20-$40 for the first time it was clear to me very quickly that I was playing better players. There would be sessions where I would raise pre-flop and continuation bet the flop and then get raised on the turn continually when I was sitting there with fresh air and no pair. Many times your opponents will have hands and when they are having great sessions themselves then it can be very difficult for the player who is on the receiving end of it. This is why a player who is winning for the session can end up winning even more money. Players who are winning money are obviously taking money from players who are losing. It is how players react to losing money that can increase the winning session of the good player. Anyone who is reading this article will no doubt have had sessions where you have won pots and when you saw your opponent’s cards, you were scratching your head as to why they could have made a call like that or played the hand in the way that they did. Quite often this can be the result of sessions where things were going well for you in relation to how many flops you were hitting. We all know how some players play worse when they are losing. At the higher limits, of course, later street aggression will often be done to test the player, so if you fold then their turn bet or raise is getting decent fold equity. Handling tougher players at the higher limits and their higher levels of aggression can be achieved in one of several ways. You could find yourself a softer table or a better seat, but if you are moving up to a new level then finding a softer game may not be an option. It is probably your game that needs improvement and not your table selection policies. You could try playing tighter pre-flop or not bluffing the turn with bets as much, but these adjustments will help your opponent in other ways. Three betting with air and continuing the aggression or calling down are essential adjustments, but they do increase variance. This is because you will often be three betting or calling down superior holdings for the reasons that have already been mentioned. If you have problems playing good poker when you are losing or you are taking a shot at a new level, then I recommend that you only play at that level with a minimal number of bets. There is no point getting run over by better players or risk going on tilt by sitting at the table with 100 big bets. You will need a bigger bankroll in terms of number of bets as you move up, simply because of the higher aggression levels. You will definitely need to retool your game though, because if you don’t have the skills against better players then table selecting will do you no good whatsoever. It will be you who will be the value and no one else. 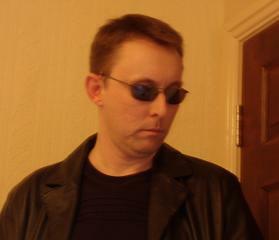 Carl "The Dean" Sampson can be seen at his blog http://www.pokersharkpool.com and 888poker.